Westover Magnet Elementary School students displaced by mold will move into the Silicon Harbor building next week. 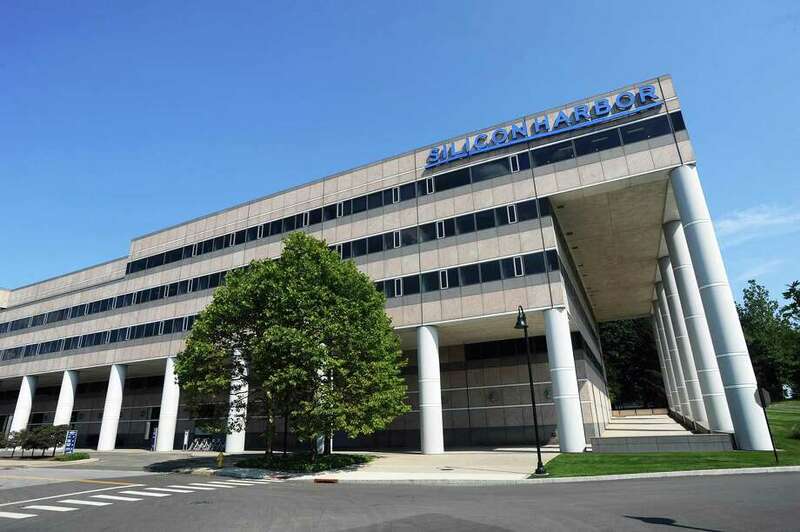 STAMFORD — It’s rare to have three elected boards at one meeting, and even more odd that they unanimously approve the same item, but it happened Wednesday night. The mold task force needed the boards to quickly approve a lease for space in a South End office building so Westover elementary students can return to school on Tuesday. The Westover building on Stillwater Avenue was closed Oct. 31 because it is infested with mold. Mayor David Martin formed the task force, which evaluated more than a dozen sites before choosing a building on Elmcroft Road owned by developer Building and Land Technology. Martin and his staff worked with BLT Wednesday to draw up a lease, and that evening brought it to the Board of Education for approval. From there, Martin and his staff took the lease to legislative chambers, where the Board of Representatives was having its regular monthly meeting. Members of the Planning Board and Board of Finance, who also must approve city leases, joined them. The rest of the room was packed with parents. Members of all the boards seemed to want to know the same thing — how much is the rent? The answer is $1.36 million, plus $187,000 for utilities, to lease 108,800 square feet from now until the end of June. The lease includes an option to rent another 24,200 square feet, which will be available Dec. 1, for an additional $321,000, including utilities, through June. Director of Administration Mike Handler, who helps head the task force, said he expects that all the space will be needed, so the cost will amount to $1.87 million to house Westover students in the building through the end of the school year. The agreement includes other options to lease the space for summer school, and for the 2019-20 school year, if needed. It’s possible other schools affected by mold will need the rooms once the Westover building is reopened, Handler said. Board members asked about the cost of refitting the office building, once home to Pitney Bowes, for Westover students. The estimate is $1 million, Handler said. If more is needed, the boards must authorize it. It’s a good deal in a crisis situation, he said. BLT — developer of Harbor Point on the South End, one of the largest projects in the nation — is among the city’s biggest property owners. According to the lease, the company is charging the city $20 per square foot. The price is “quite competitive,” said finance board Chairman Richard Freedman, a real estate developer. “The city cut a very fair deal, especially for a building like this,” Freedman said. The large building near Kosciusko Park is empty except for about 100 BLT employees. For the first couple of weeks — until a bus pull-up area and separate entrance are created — students will have to walk through the lobby with BLT employees. School security guards and police will ensure their safety through the lobby, said Assistant Superintendent Tamu Lucero, a task force member, and classrooms will be segregated. They haven’t done anything yet about a playground. “We want the (Westover) principal and staff to help us decide once they are there,” Lucero said. BLT’s crew now is refitting the bathrooms for elementary schoolers, Handler said. But not everything will be ready by Tuesday, including a gymnasium. Until there is a cafeteria, the school district’s food service vendor, Chartwells, will prepare lunch elsewhere and bring it to the Elmcroft building. There are other logistics — almost 270 Westover students who walked to the Stillwater Avenue building will have to be transported to Elmcroft Road. There is enough money to cover the costs of the temporary Westover school, though it hasn’t been decided yet whether it will come out of the city or schools budget. But the price tag for removing mold from all 25 school district buildings is unknown. “What’s the plan to pay for this?” Board of Finance member Mary Lou Rinaldi asked. The 20-year-old Westover building was closed after inspections found mold in the sheet rock of interior walls, in the insulation, and in the glue behind the wallpaper. Moisture entered where window caulking has separated from the brick exterior, along faulty gutters, and from broken windows, condensation on pipes, and poor drainage around the building. The cost of replacing supplies is another unknown. Handler said, for example, that some books from Westover tested positive for mold spores. If they cannot be cleaned, the school district may have to buy $500,000 worth of new ones. After each board voted to approve the lease, Martin took out a pen and signed it. In other business, the Board of Representatives approved, unanimously and without discussion, the appointment of Mark McGrath as the city’s new director of the Office of Operations. McGrath, a retired Air Force commander who will oversee many of the departments involved in mold remediation, said he expects to start the job Monday.